I've transcribed a substantial portion of this interview below, rough notes only, without comment at this stage. Numbering is just for id purposes if people want to discuss particular points. Q) What kind of customization had to happen to the software for your particular project? Q) How has this changed the classroom from the teacher speaks, student repeats? Q) Do you have objective numbers on performance? 32) If we teach to the test then test results will improve. Walter Bender has said that the hard part about education is that you have to wait 20 years. However, assessment is important in terms of justifying the expense of what we are doing. 38) There is enthusiasm for FLOSS in Nepal – Nepal won best software freedom day 2 years in a row from FSF. But there is not much open source software being developed. Q) What was the biggest hurdle or hurdles? The fibre will be completely independent of Telstra's copper network. It's fair because every carrier will have equal access to the new network. What exactly is a "troubled asset"? One response is to laugh at this voodoo talk. I've been working on a primer about the economic crisis which I hope to publish here soon. In the meantime, I have found some good video clips on youtube. "... a signed up member of Svenska föreningen för upphovsrätt ('the Swedish Copyright Association'), where he is joined by Henrik Pontén, Peter Danowsky and Monique Wadsted, all of whom represented the entertainment industry in the case against file sharing site The Pirate Bay. The judge also sits on the board of Svenska föreningen för industriellt rättsskydd (Swedish Association for the Protection of Industrial Property), a group actively advocating for more stringent copyright laws." Just a little corruption in Sweden, who would have imagined such a thing? 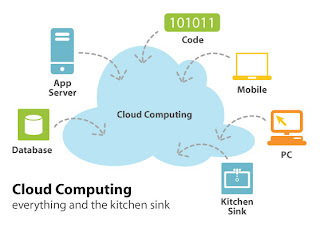 What are the differences between cloud computing, web2.0 and the internet? He overstated the number by four! The application of several computers to a single problem at the same time – usually to a scientific or technical problem that requires a great number of computer processing cycles or access to large amounts of data. Since the Stockholm district court passed judgment on April 17th the Pirate Party confirmed on Saturday afternoon that its membership has swelled to 21,000. The party's youth league is now, with its 10,000 members, larger than all of the parliamentary party youth organizations. The YouTube embedding has been disabled by request but make sure you check this one out if you haven't seen it yet. Here are some video interviews for a fascinating introduction to Ray Kurzweil's ideas about where the exponential growth of technology will lead. There are four shortish videos, just follow the sidebar after viewing the first one. One aspect of the video medium I like is that you pick up clues to the author's personality far more so than through the writing medium. His flippant comment about the current recession / depression reveals some intellectual detachment from important current issues. Nevertheless, without question he is very smart guy and the testimony from Stevie Wonder indicates a person of compassion, also. Predicting the future is a very hard thing to do. The exponential growth of technology and nanotechnology is fascinating. Where will it lead us? "A long time ago the brain was a hydrodynamic system. Then the brain became a steam engine. When I was a kid, the brain was a telephone switching network. Then it became a digital computer. And then the brain became a massively parallel digital computer. About two or three years ago I was giving a talk and someone got up in the audience and asked a question I'd been waiting for — he said, "but isn't the brain just like the World Wide Web?" The brain is always — has always been — modeled after our most complex technology. We weren't right when we thought it was a steam engine. I suspect we're still not right in thinking of it in purely computational terms, because my gut feeling is there's going to be another way of talking about things which will subsume computation, but which will also subsume a lot of other physical stuff that happens"
- SO MUCH HIGH-TECH MONEY INVESTED, SO LITTLE USE: HOW COME? Putting 10,000 netbook computers into primary schools in Northern Victoria (see here) will change the readiness of access issue but how is it going to transform teachers who are not currently computer enthusiasts into effective teachers of computer rich classrooms? It will provide far more opportunity but it's not going to happen overnight and in some or many cases it won't happen at all. I've always been against this approach. I argue for computer saturation at schools but if and only if there is a computer enthusiast teacher on the job. There we have it. I want computer saturation in my classes because I have done the hard work of figuring out how to make it work. But I don't think it should happen in classrooms where teachers, often for legitimate reasons, have not done that work. "And keep your eyes wide; The chance won't come again"
How can I reconcile the irony that the lyrics of Bob Dylan's The Times They Are A-Changin' seem just as relevant in 2009 as when they were first written in the 1960s? Which is the best way to argue for the necessity for radical educational change based on underlying technological innovation? Another guess I made long ago—that does not yet have a body of evidence to support it—is that what is special about the computer is analogous to and an advance on what was special about writing and then printing. It's not about automating past forms that has the big impact, but as McLuhan pointed out, when you are able to change the nature of representation and argumentation, those who learn these new ways will wind up to be qualitatively different and better thinkers, and this will (usually) help advance our limited conceptions of civilization. I forgot to mention "21st Century skills"
Anywhere Anytime Learning has been involved in the consultation process. Their 21 steps to 1:1 success presentation is available from this page of the wiki. Delivers high-quality, interactive video across the web and mobile devices.